Rihanna is super busy right now promoting her upcoming Fenty Beauty makeup line but she did not forget to show love to the Clara Lionel Foundation. In addition to a Puma collab, the singer’s charity recently launched a collection of t-shirts and hoodies to raise funds. 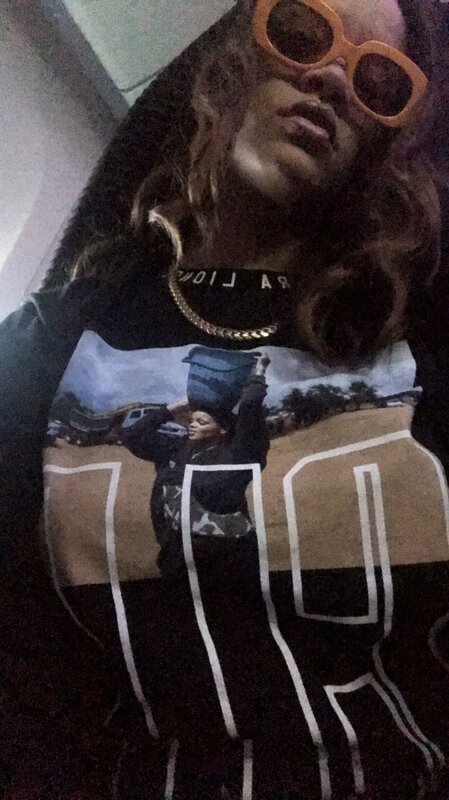 In an Instagram story she showed off one of the tees. 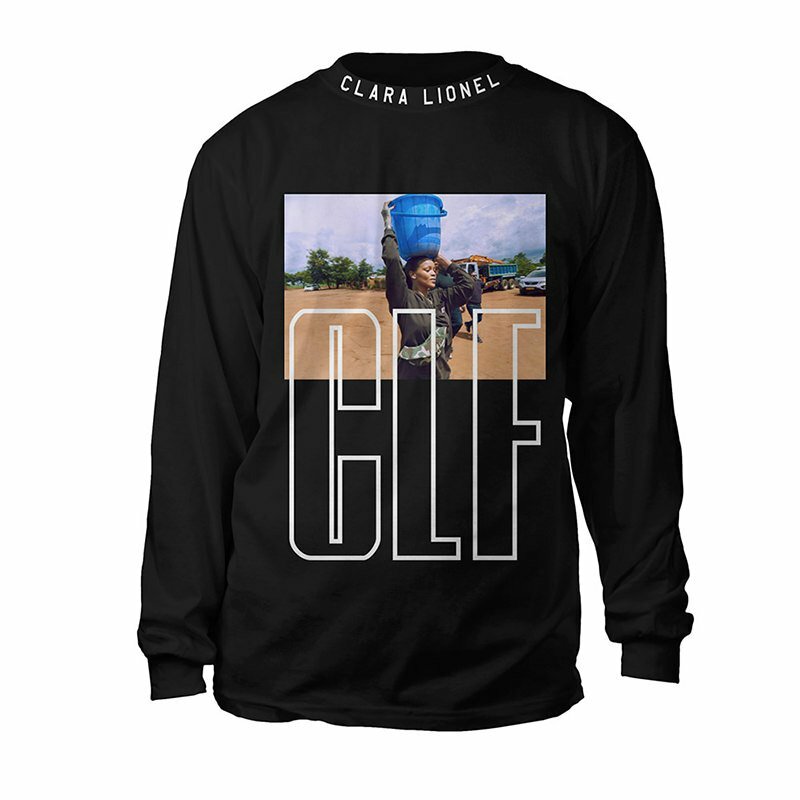 It’s a black long-sleeve t-shirt featuring a photo of Rihanna in Malawi. The top also features “Clara Lionel” in block letters along the collar. Click here to purchase. It only costs $34.95. Update: Her sunglasses are Crap Eyewear‘s The Velvet Mirror shades ($60). 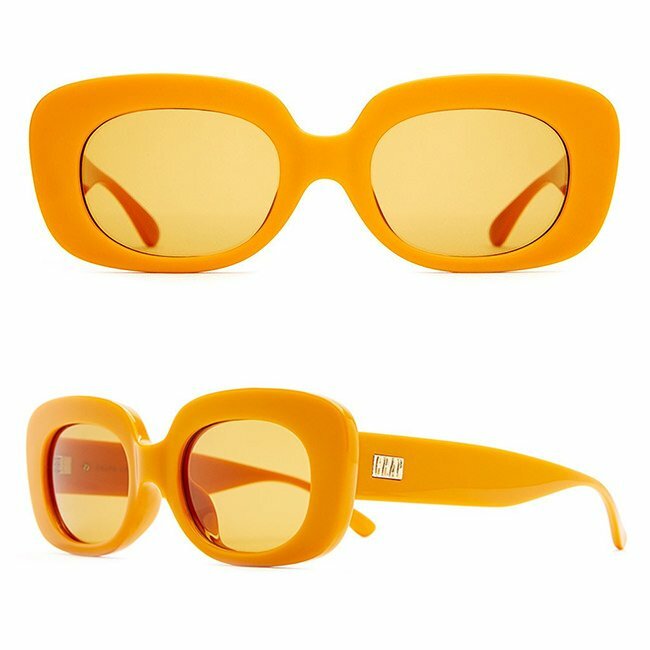 They have tangerine-coloured frames with mustard lenses. This is a limited edition colorway inspired by photographer Mark “The Cobra Snake” Hunter. Click here to purchase.